School of Humanities and Social Sciences, Sharda University in collaboration with MyGov, an initiative of Government of India is conducting a lecture on the topic titled “Spread the Joy of Good Governance”. The programme aims to enlighten the students on the various schemes and projects started by the Government of India for the benefit of diverse strata of the population in a variety of ways. The programme is directed towards inculcating a sense of sense of responsibility amongst the students so that the power of youth can be harnessed to develop a nation which grows together and prospers united. Understanding the way in which these schemes have been coordinated with technology by MyGov, Government of India. Inspiring students to play an active role in spreading awareness. Imbuing a sense of responsibility in today’s youth to grow together as a nation. Connecting the initiatives under MyGov, Government of India with the Community Connect Programme offered by SHSS. Informing the students about the internship opportunities with MyGov, Government of India. Surajkund International Crafts Mela is a strong platform for Indian artists and craftsmen to display their skilled crafts and Art work. Traditional craftsmen (artists, painters, weavers, and sculptors) from all parts of the country. To apprise the students more about the Indian culture, School of Education is taking their students of BA, B. Ed and B.Ed first Year to Surajkund International Crafts Mela on 12th February 2019. To make the students learn more about Indian culture and its diversity. To make them study the richness and diversity of the Indian handicrafts and Indian artifacts. School of Architecture and Planning are taking the students of Third Year to MBS School of Planning and Architecture, Delhi and Sushant School of Art and Architecture, Gurugram to do a live case study for their design studio exercise. Department of Information Technology & Business Analytics, School of Business Studies, Sharda University is Organizing a Seminar on 12th Feb 2019. As today the entire world is revolving around data which is the very first in the Data–Information–Knowledge–Wisdom (DIKW) hierarchy. We all need to know how to move in the best way from Data to Wisdom. Music knows no boundaries. It reaches to the heart of millions and fills them with all kind of emotions, effortlessly. 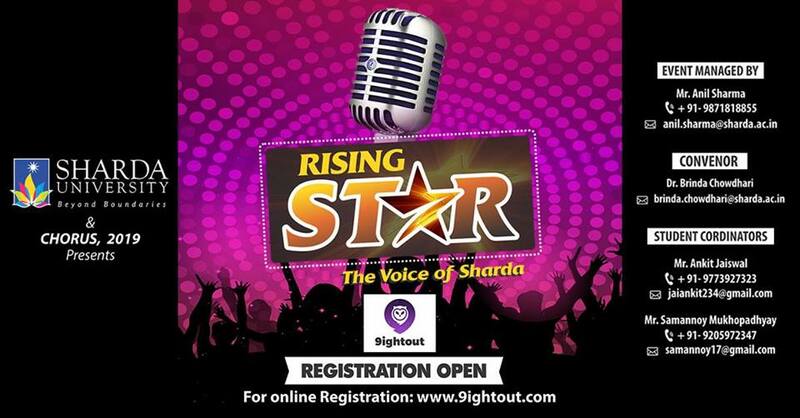 To honour that musical stature, Sharda University is organizing the Biggest Singing Talent Hunt Competition of the year for the students of the University. This challenging competition will be a part of Chorus 2019. 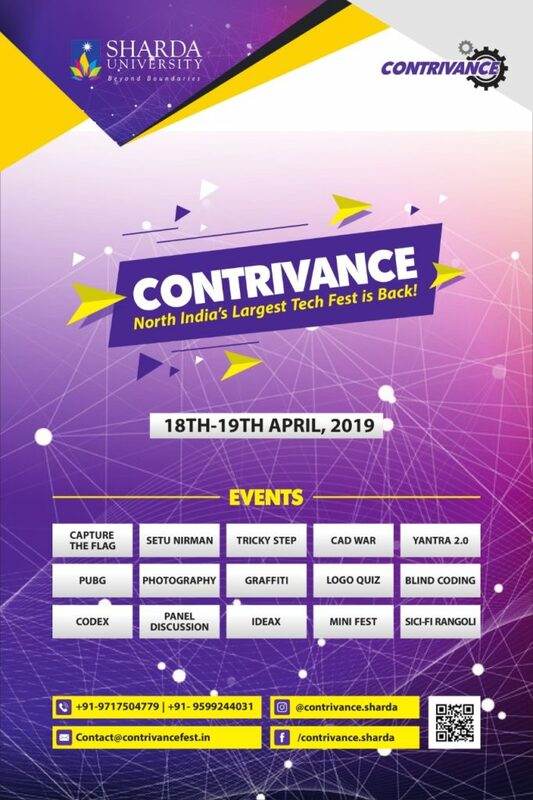 The shortlisted students will get a chance to compete for the crown at the Grand Finale on Sunday, 17th March 2019. The winners will walk away with exciting prizes and a chance to perform at stage shows organized by Delhi Music Fraternity from time to time. In addition to this, the winners will also bag the opportunity to be invited to perform on the renowned singing platforms like Sare Ga Ma Pa, Indian Idol, etc. SBS is Organising an Outbound Team Building Activity for Students at Lohagarh Farms, Gurugram on 13th Feb 2019. Team building challenges students to problem solve and execute working with others. Team building allows students to develop stronger relationships and trust among each other. Certain activities are designed to improve communication and limit conflict in a group. To get students out of their comfort zone and help them to Experience new awareness of their needs and how to meet them through team effort and “out of the box” training. As a part of experiential learning, School of Law is organizing Educational visit of the Law students to Dr. Ambedkar National Memorial, New Delhi on Wednesday, 13th February 2019. 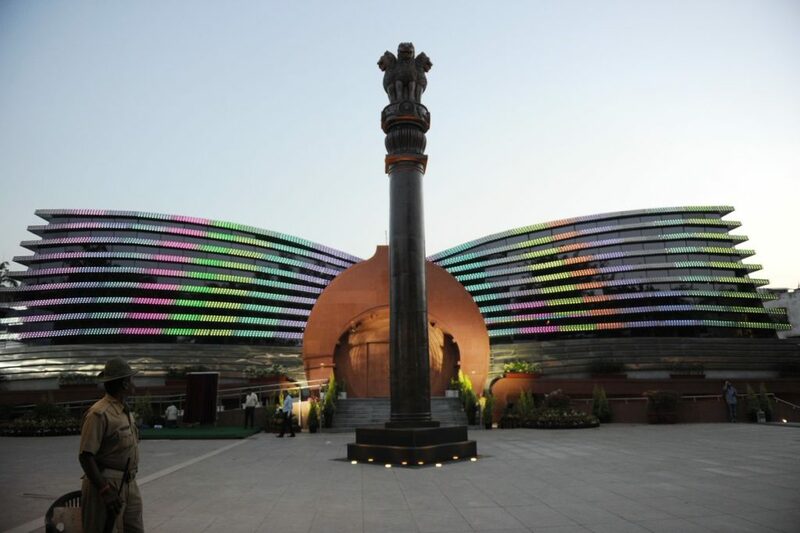 The memorial has excellent architectural design symbolizing Constitution of India with Museum, meditation hall, musical fountains and 12 feet high bronze statue of Dr. B.R. Ambedkar. The overall Ambience of the monument is a perfect blend of modern science and traditional Buddhist architecture. The visit shall facilitate the Legal knowledge of the students as it artifacts on Dr. Ambedkar. The memorial is a Store House of Legal information and is of great educational importance thereby shall enhance the student knowledge. 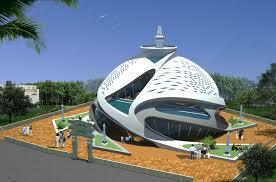 The students will have knowledge about the Indian Constitution. Analyze the historical perspective of the Indian Constitution. The School of Humanities & Social Sciences (SHSS) is organizing a field visit to the annual ‘Surajkund International Crafts Fair 2019,’ Faridabad on 13th February 2019, for the International students of the school. The Surajkund fair celebrates the diversity of Indian traditions and culture; from handicrafts, enthralling performances, to a multi-cuisine food court, this fair has it all. The visit would be fruitful for the International students as they will get an opportunity to learn more about Indian culture and its diversity. It would help the International students to know about the richness and diversity of the handicrafts, handlooms and cultural fabric of India. It will also be an opportunity for them to interact with different people from different states, as it will give them the opportunity to put their theoretical knowledge into action. The Department of Community Medicine (SMS&R) along with School of Dental Sciences and School of Allied health science is organizing school health camp under the school health program at Janta Public Jr High School in the catchment areas of RHTC Panchaytan on 13/02/19. Approximately 400 Students along with their family members will be participating in the health camp. Screening and treatment of health problems among school children. To detect dental problems and increase awareness regarding oral hygiene. To increase awareness among students and their family members regarding various adolescent health problems (i.e Nutrition, Behavior, reproductive health and menstruation) and their prevention. Guest Lecture on “Sustainable Manufacturing : The Future” , 13th Feb, 2019: Mechanical Engineering Dept. Department of Mechanical Engineering, School of Engineering & Technology is organizing a guest lecture on “Sustainable Manufacturing: The Future” for the students and faculty members of Mechanical Engineering. To apprise students with the recent trends in Sustainable Manufacturing. It will be helpful for them to understand the applications and recent developments of sustainable manufacturing. School of Law, Sharda University is organizing a Guest Lecture on RERA (Real Estate Regularity Authority) on Thursday, 14th February, 2019. 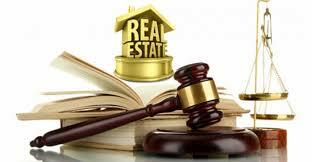 RERA (Real Estate Regularity Authority), Act is legislation dealing with real estate issues. To impart knowledge of adjudicating mechanism for speedy dispute redressal. Learn about the Court etiquettes and practical experiences on Courts Craft.